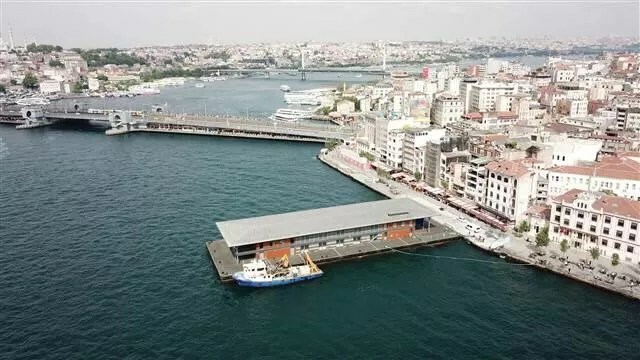 A new floating pier in Istanbul’s Karaköy district was installed in the early hours of May 24, due to go into service later this month after 10 years closed. 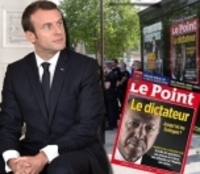 French magazine Le Point said it had suffered harassment and intimidation by supporters of Turkish President Recep Tayyip Erdoğan after it labelled him “The Dictator” on its front cover. 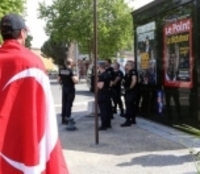 After Le Point magazine’s cover of Erdoğan entitled “Le Dictateur” being taken down off, OSCE representative Désir has said, “Trying to export censorship to other countries is unacceptable”. 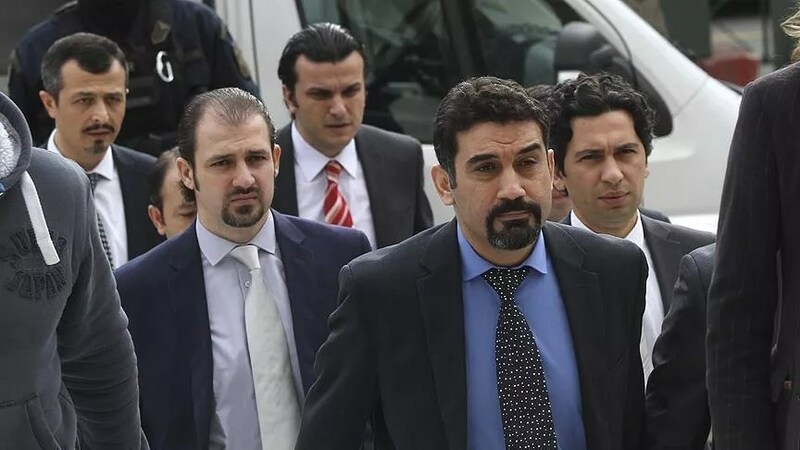 Two Turkish officers who fled to Greece following the July 2016 coup attempt were granted political refugee status on May 23 after an appeal lodged by the Greek government was rejected, Agence France-Presse reported, citing a judicial source. 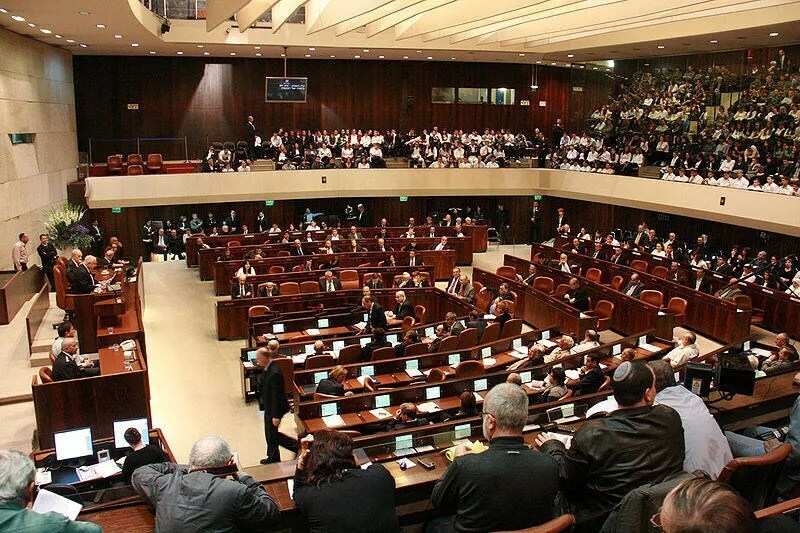 Israeli lawmakers on May 23 approved a motion to hold a plenary debate on “recognizing the Armenian genocide,” as relations between Israel and Turkey continue their downward spiral. The trial of Mehmet Hakan Atilla depicted high-level corruption in Turkey, and strained that country’s relations with the United States. 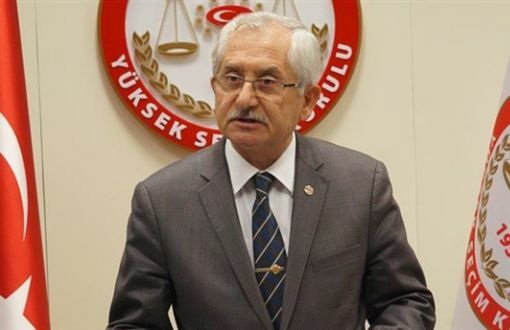 Supreme Election Board President Güven has said, “The number of voters to cast vote at the ballot boxes planned to be moved is 144 thousand”. Cyber-security and ICT incident response teams are to collaborate with the National Intelligence Organization during upcoming elections in June. Through the days of the election, the coordinated team will meet at the USOM cyber-incident response centre of the ICTA authority to implement coordinated cyber-security measures and online content blocking. In an interview with Turkish newspaper Hurriyet, deputy undersecretary of the Ministry of Transport, Maritime Affairs and Communications Galip Zerey outlined a series of measures to be taken to protect the electoral informatics system SECSIS during the June 2018 presidential and parliamentary elections. Hilarious watching @cnnturk interview with Muharrem Ince. Seems the journalists asking him questions cannot break out of the pro-gov language mode; he keeps correcting them when they take AKP gov stance as if it is fact. Incompetence at the top doesn’t really matter, until it does. Turkey’s central bank has reacted to the drop in the value of the lira by raising key interest rates. The Turkish currency had already lost roughly a quarter of its value since the start of the year when it came under additional pressure on Wednesday morning after Japanese investors divested en masse. What are the factors behind the slump? 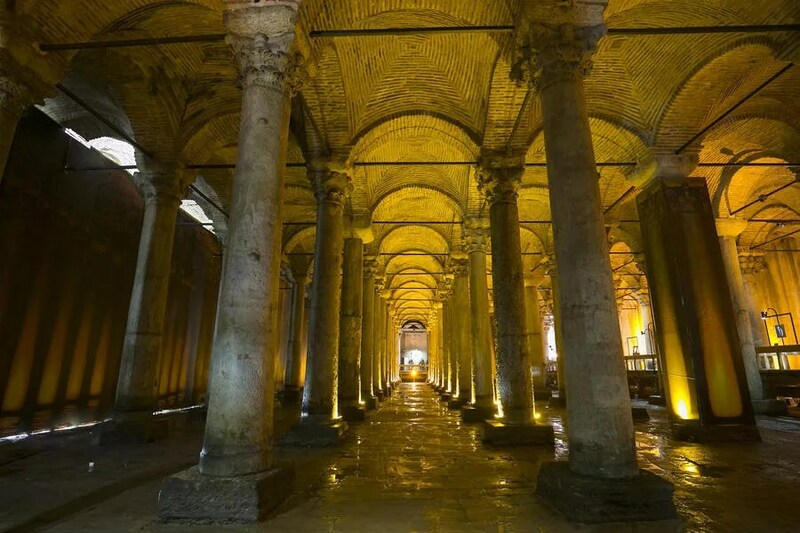 The rise of authoritarianism in Turkey has gone hand in hand with a de-institutionalization, in favour of what many call the “one man regime”. How long can that last? The OSCE’s Office for Democratic Institutions and Human Rights (ODIHR) formally opened its election observation mission in Turkey on May 24 for the snap presidential and parliamentary elections to take place on June 24. Broadened freedoms and rights, a stronger administrative system and a strong economy are among the main promises of the ruling Justice and Development Party (AKP), President Recep Tayyip Erdoğan has announced while unveiling his manifesto for the June 24 early elections and introducing his candidates for parliament. 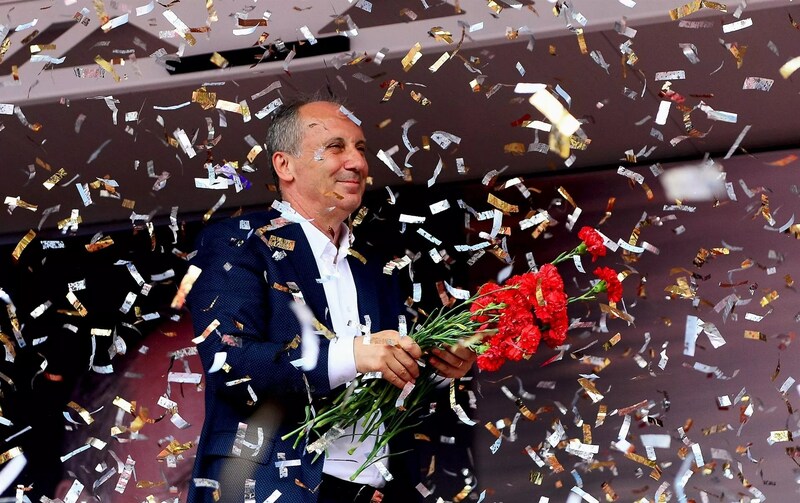 Turkey’s snap elections: a level playing field? The question remains whether the next elections will be free and fair. In light of Turkey’s recent political development, this is highly unlikely: the end of democracy sometimes comes not with a coup but with a vote. Turkey’s President Recep Tayyip Erdogan poses for photos with children in commando uniforms as he addresses the members of his ruling party at the parliament in Ankara, Turkey, Tuesday, Feb. 20, 2018. DepoPhotos/Press Association. 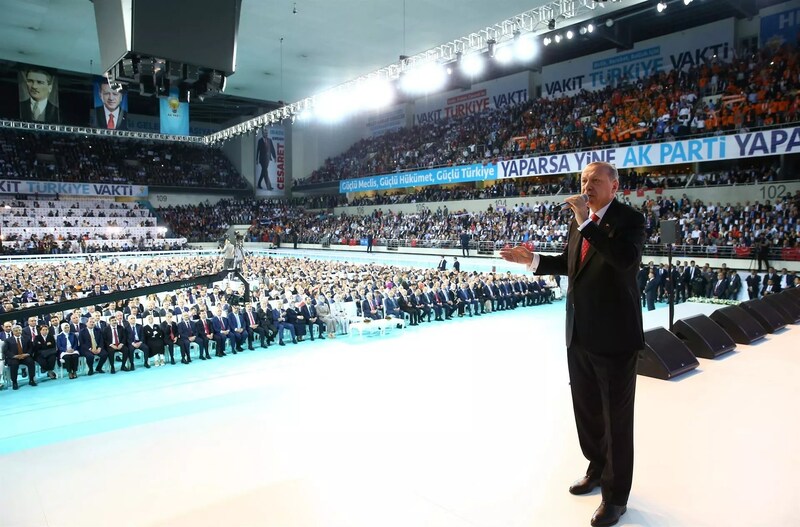 All rights reserved.Despite months of insistent denials, Turkish President Recep Tayyip Erdoğan called for early parliamentary and presidential elections to be held in June 2018 instead of November 2019. Hours after his announcement, Turkish parliament extended the state of emergency through July, the seventh such extension since the failed coup attempt. 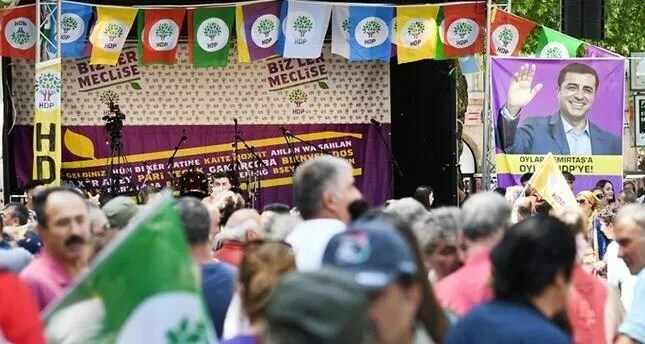 Turkey’s EU Minister Ömer Çelik on May 26 criticized German authorities for allowing a Turkish opposition party to hold a rally he said was organized by supporters of the outlawed Kurdistan Workers’ Party (PKK), considered a terrorist organization by the Turkish government. I would like to introduce you a project I and many friends invested a lot. It is a kind of encyclopedia project on The Gezi Park Protests. Titles are in English but most stuff is in Turkish. You will still get a sense of what it is all about. Turkey’s crying but authoritarian leaders…. 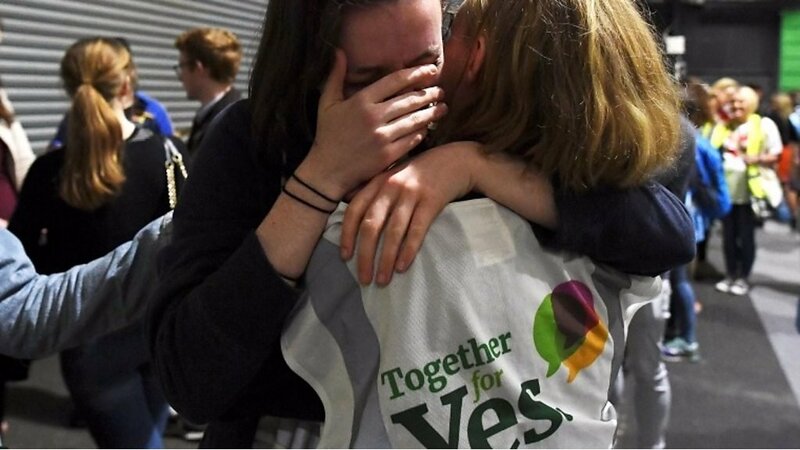 Supporters of the Yes campaign react to the overwhelming vote to overturn the abortion ban. 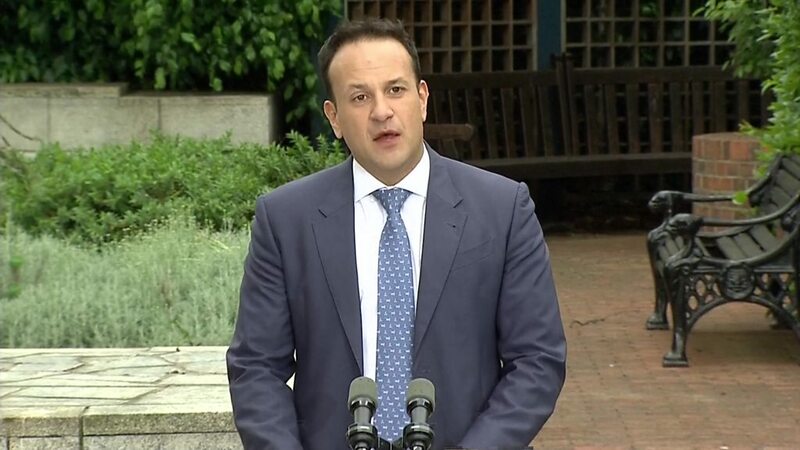 Leo Varadkar says Irish people have voted for a “modern constitution for a modern country”. 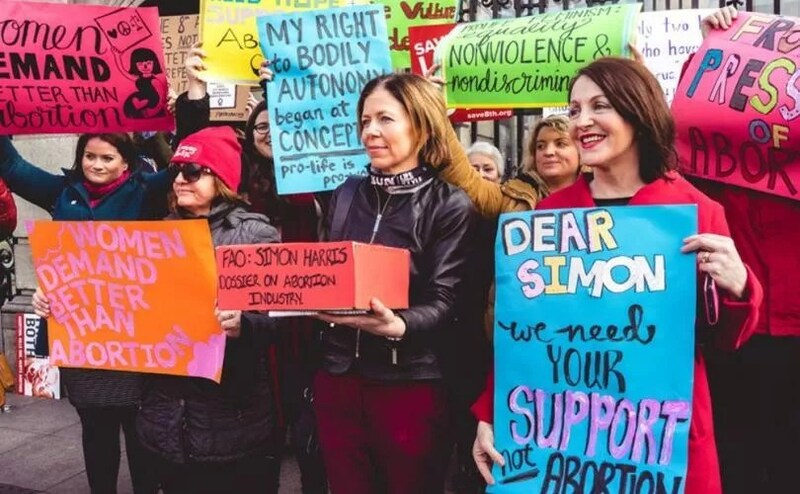 The Republic of Ireland votes to overturn its abortion ban with 66.4% backing reform of the constitution. 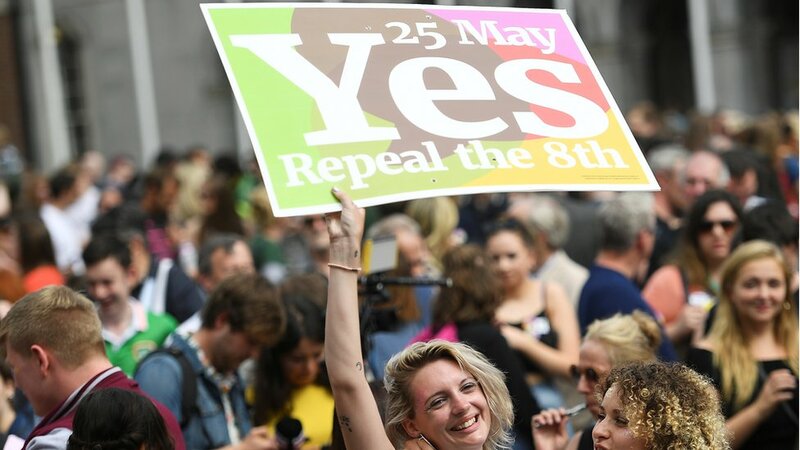 Final results from a referendum show that Irish voters have overwhelmingly supported repealing their country’s constitutional ban on abortions and having parliament enact laws that reflect the popular vote. The vote for liberalisation marks a significant break away from the influence of the Catholic Church. 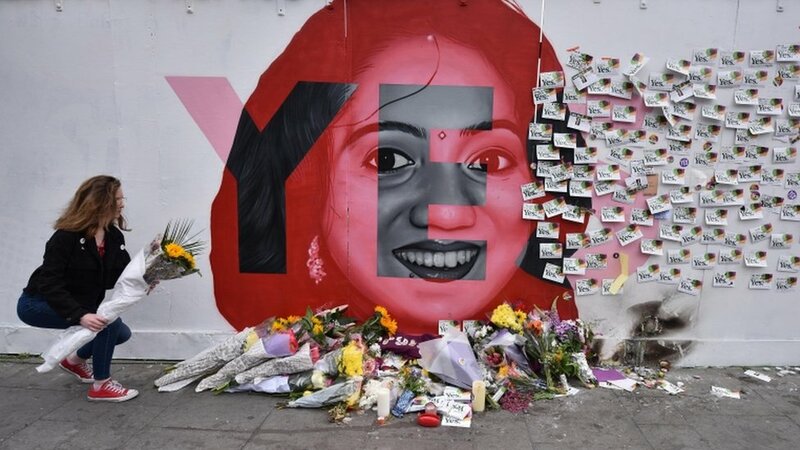 Irish Prime Minister Leo Varadkar praises the “historic” vote to end the country’s abortion ban. A vote for Yes was pro-choice; a vote for No was anti-abortion. 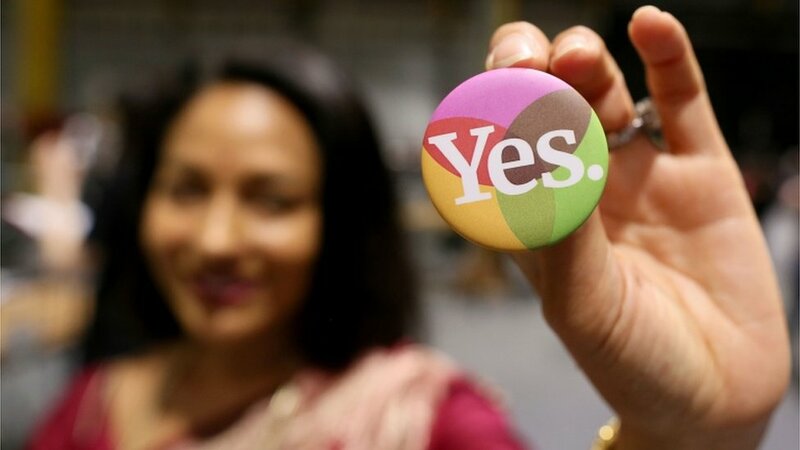 So how did Irish people vote, and why? 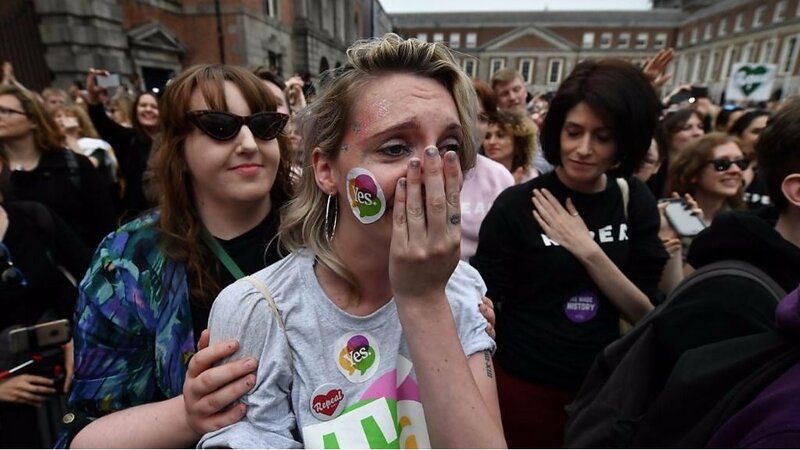 Defying all expectations of a close contest, exit polls in Ireland predicted that the nation voted overwhelmingly on Friday in favor of repealing a near-total ban on abortion in a referendum.